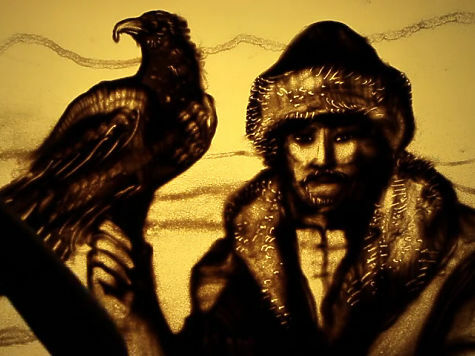 ASTANA – Famous Crimean artist and sand animation performer Kseniya Simonova has dedicated her new film to Kazakhstan, reported Kazpravda.kz on Feb. 9, citing Argumenty I Fakty Crimea. The five-minute film “Astana, My Love” is gaining popularity among Internet users. 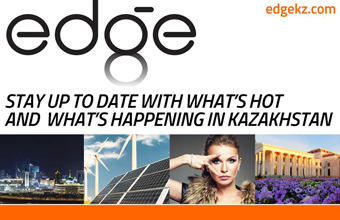 “Astana is a beautiful, new, totally unique city. I was honoured to be able to visit it a few years ago. It is a subtle and marvellous combination of Central Asian traditions with European innovations in architecture and urban planning. It is a little known and, therefore, attractive culture for me… A culture of long-term nomadism, which is at the same time open to the new,” said Simonova. The short film shows the main historical stages of Kazakhstan and Central Asia and the ethnic and cultural features of the country. It starts with pictures of the steppe, the animation continues with the illustrations of nomads riding horses. Then a picture of a hunter with an eagle appears on the screen. A beautiful transformation into Baiterek follows. 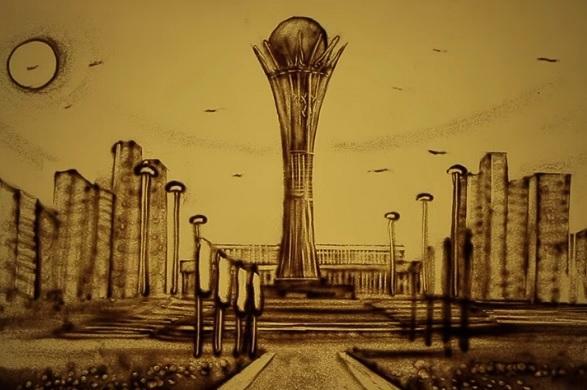 Astana’s main sites are shown in the film as well. The film ends with the portrait of President Nursultan Nazarbayev with the capital behind him. In 2010, Simonova was a special guest during the celebrations of Astana Day, where she presented her animation film to the Kazakh President and his guests, including the heads of 12 countries. Sand animations of Simonova are known worldwide. Presidents and kings have witnessed her films, including the Royal house of Thailand, the royal Danish family, members of the British royal family, the President of Malta and others. Three months ago, Simonova performed in Bhutan, where her audience was members of the royal family and current King Jigme Khesar Namgyel Wangchuck.